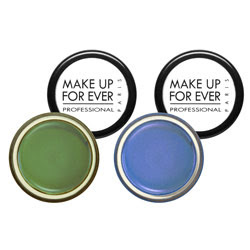 I was recently given some Make Up For Ever products to try, and now I've become obsessed with the entire line! The shadows and blushes are great. They are loaded with pigment and feature some very cool colours. 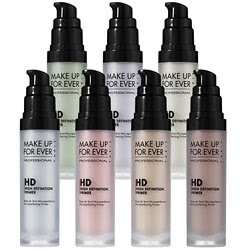 But, what I'm REALLY obsessing over is the HD Primer. I don't typically use primers, and just opt for a moisturizer instead, but once I tried this one, I was totally hooked.It does a great job of minimizing pores and priming the skin for a flawless make up application. My success with this product led me to their HD powder. 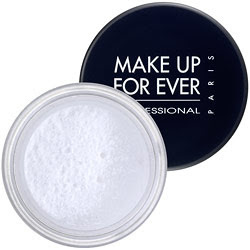 This is BY FAR the thinnest powder I have ever used, it's totally invisible, and it has a great soft focus effect that does an amazing job of camouflaging fine lines and blemishes. 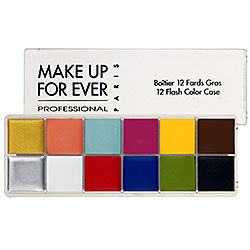 This palette is truly a must for any serious make up artist. You can use it for pretty much anything, so get creative! This weekend is the Make Up Show here in Los Angeles, and I'll have some more exciting Make Up For Ever news for you upon my return! 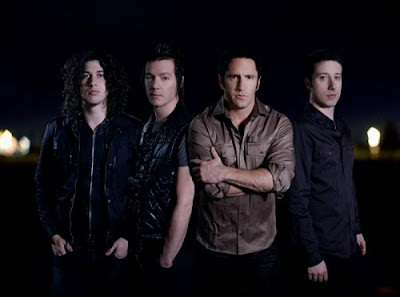 Now, just for fun... here's one of the promo pictures I recently did with Nine Inch Nails. I love the HD powder! I got a sample of it awhile back but need to go get the full size. You should check out the primer too! It's amazing! The powder is incredible but i wake up in the morning for the flash pallet! It's the best thing ever.